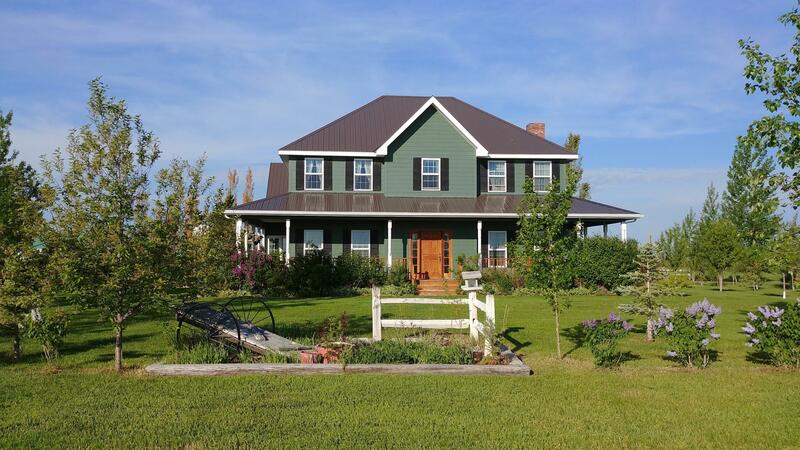 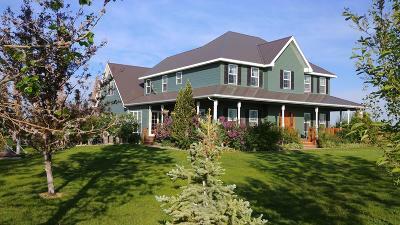 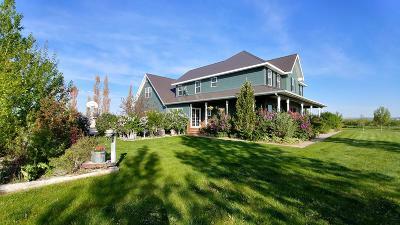 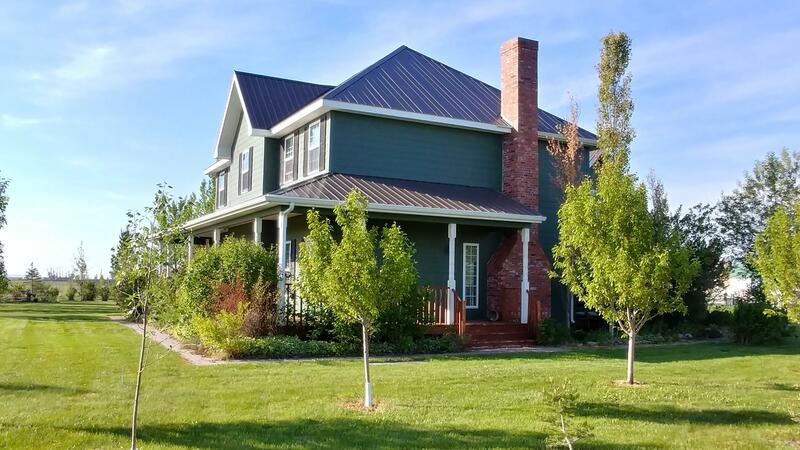 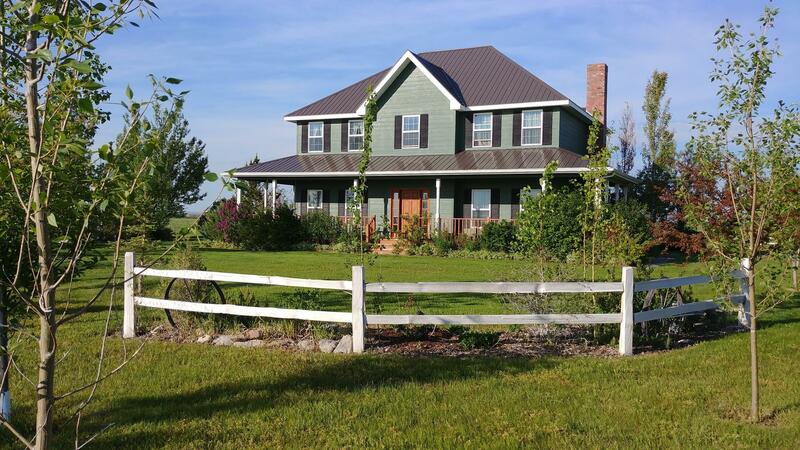 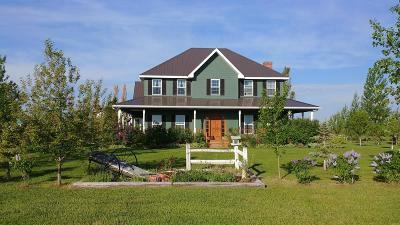 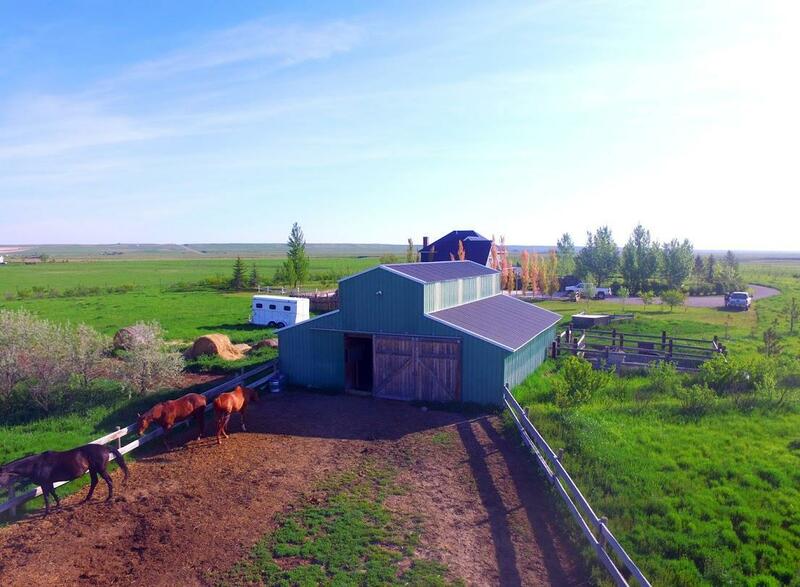 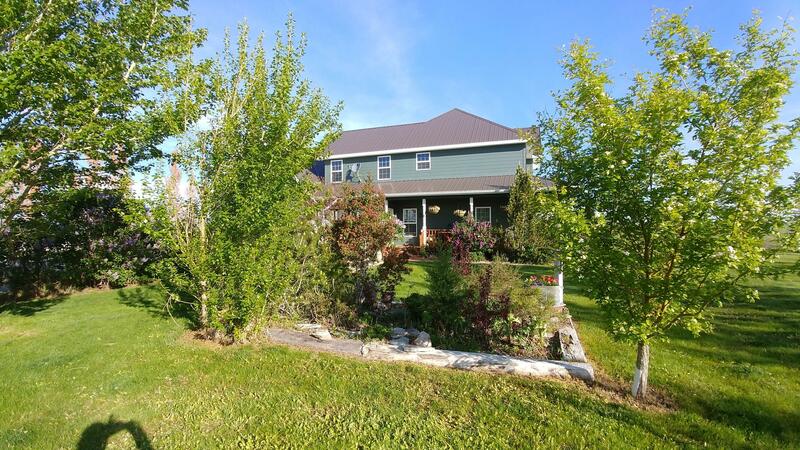 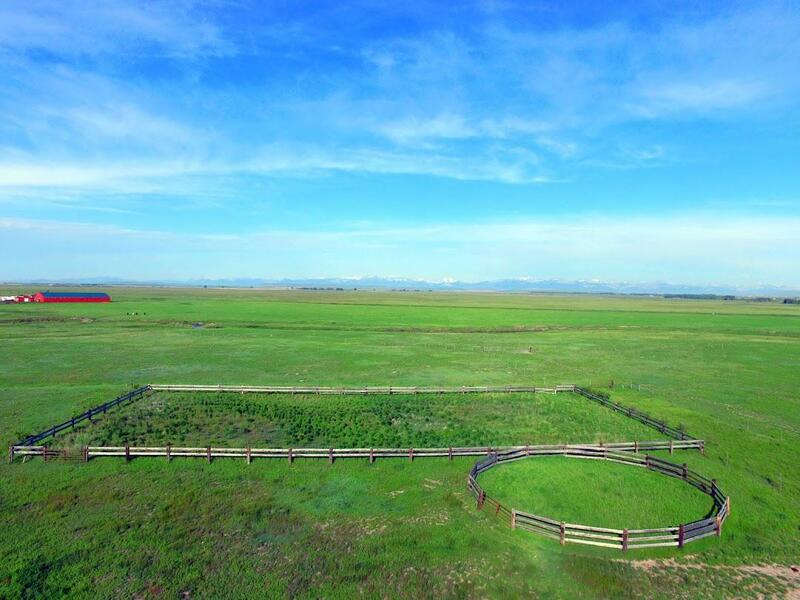 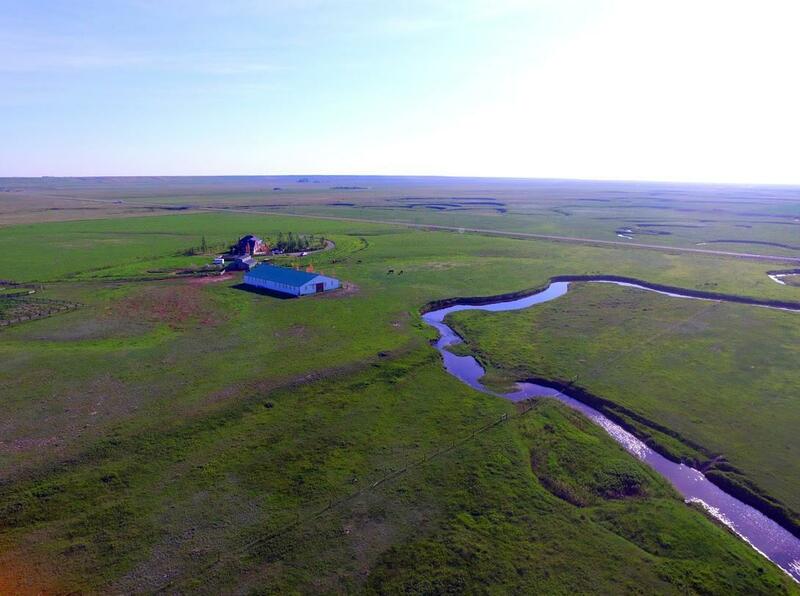 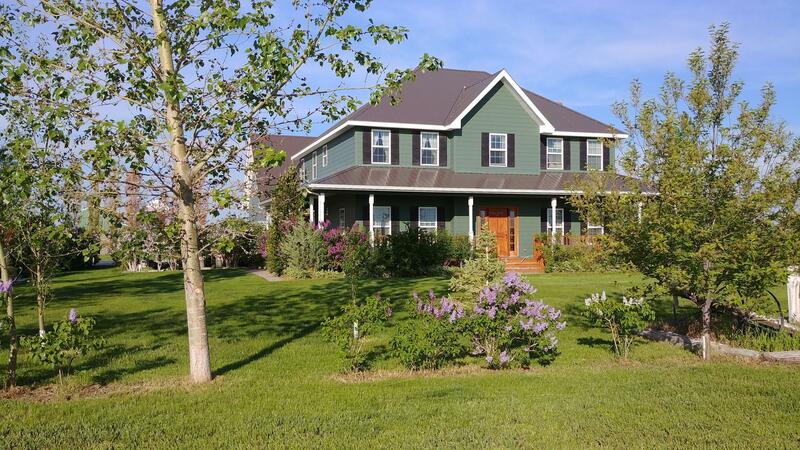 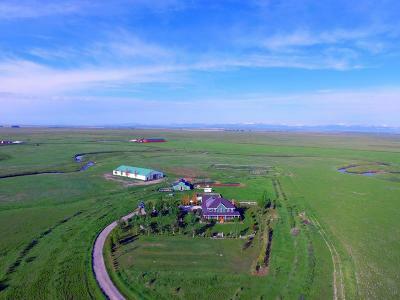 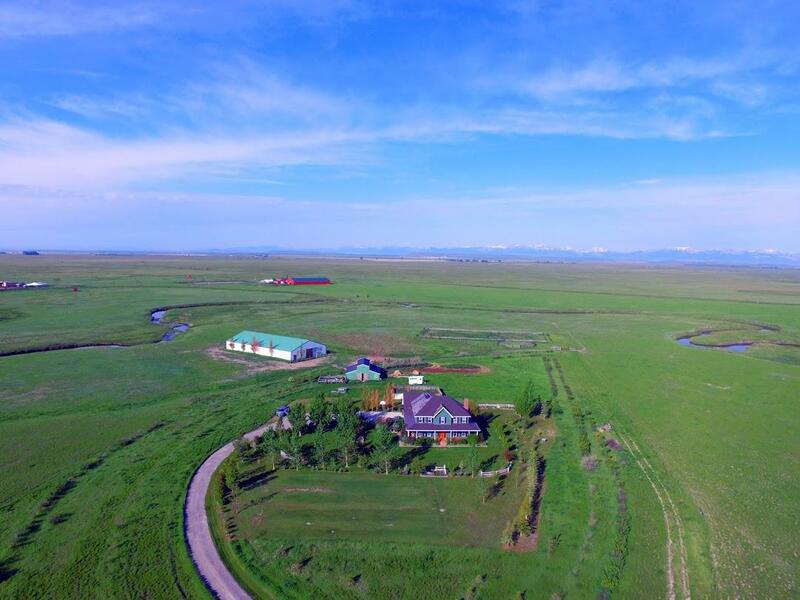 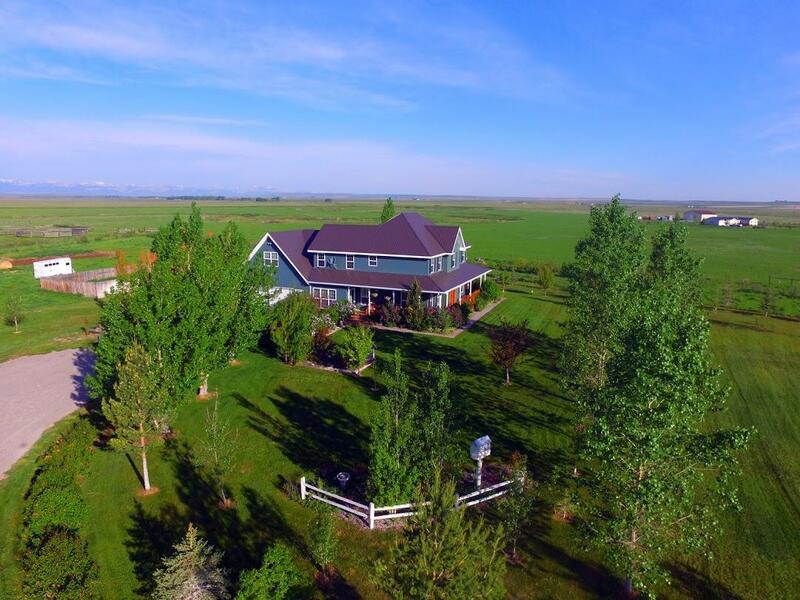 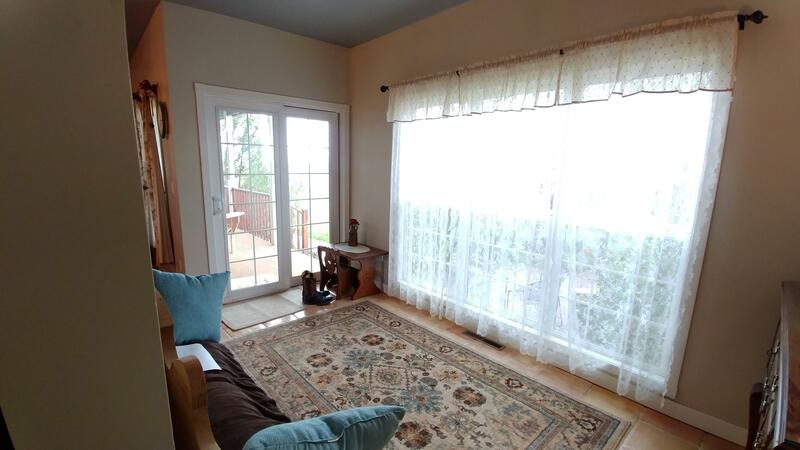 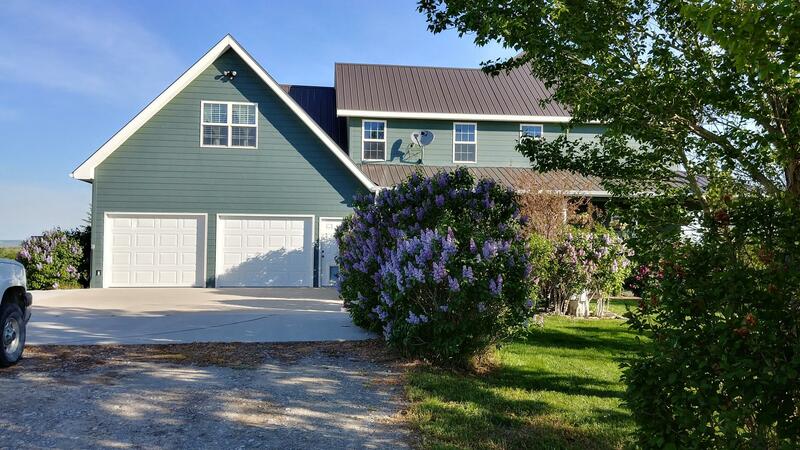 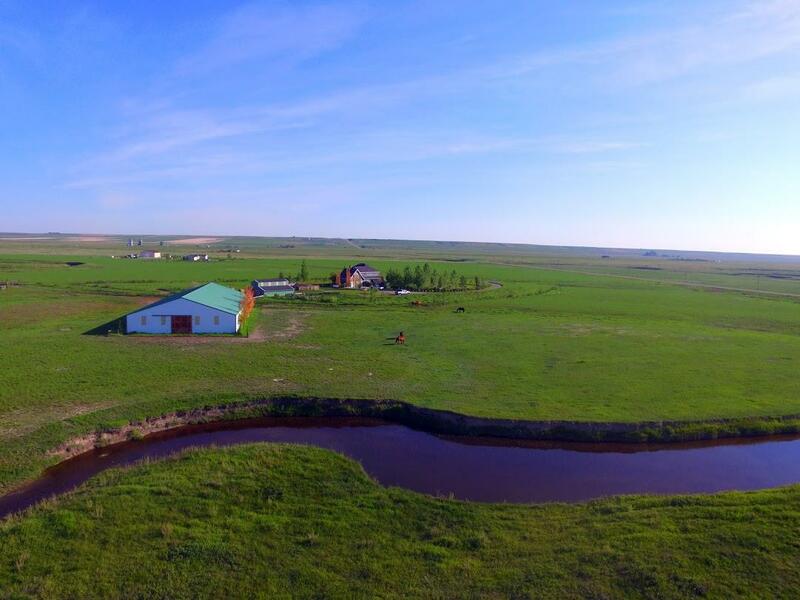 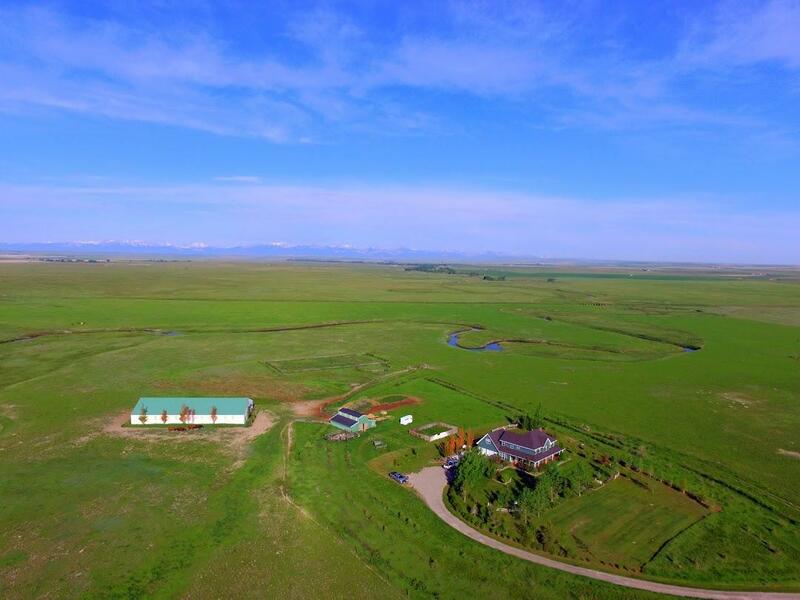 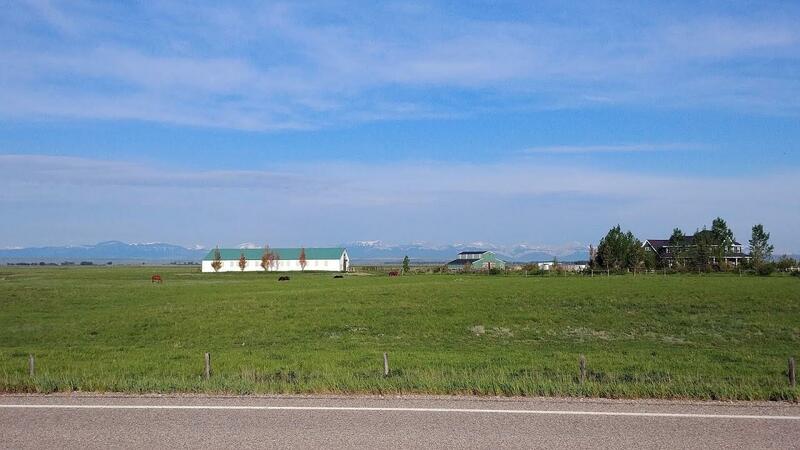 Amazing views of the Rockies from this 28-acre horse property with a year around stream flowing through it. 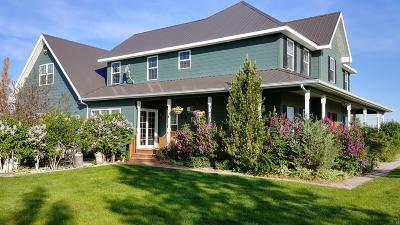 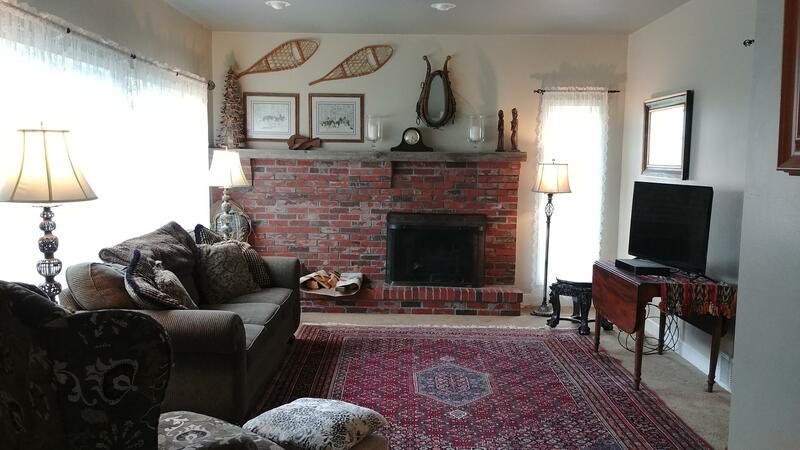 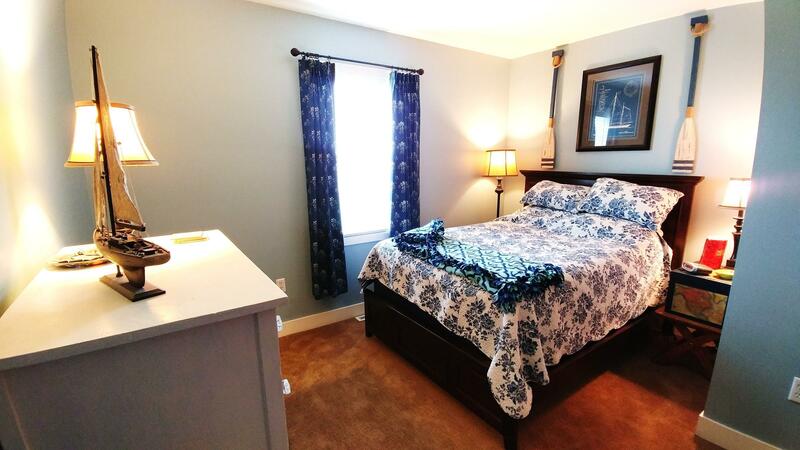 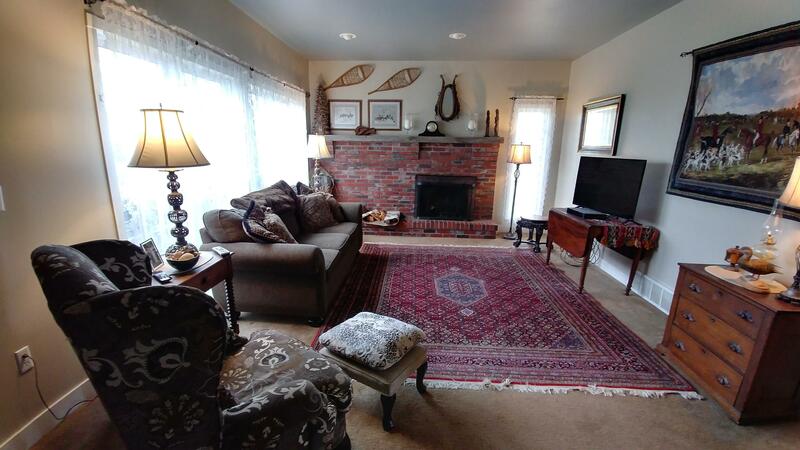 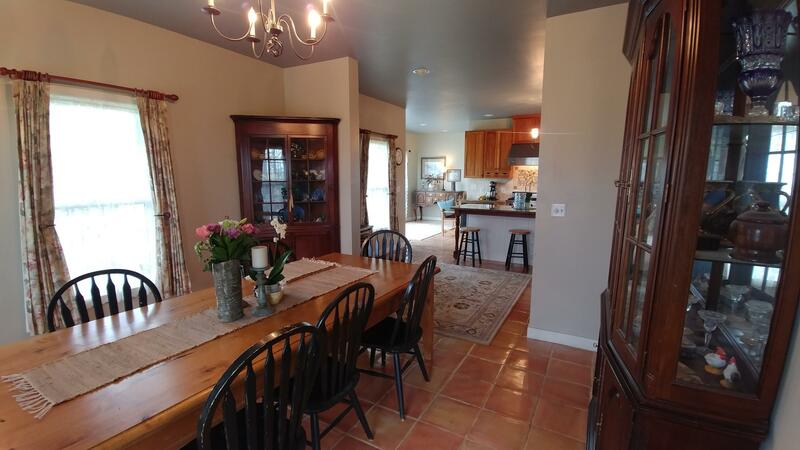 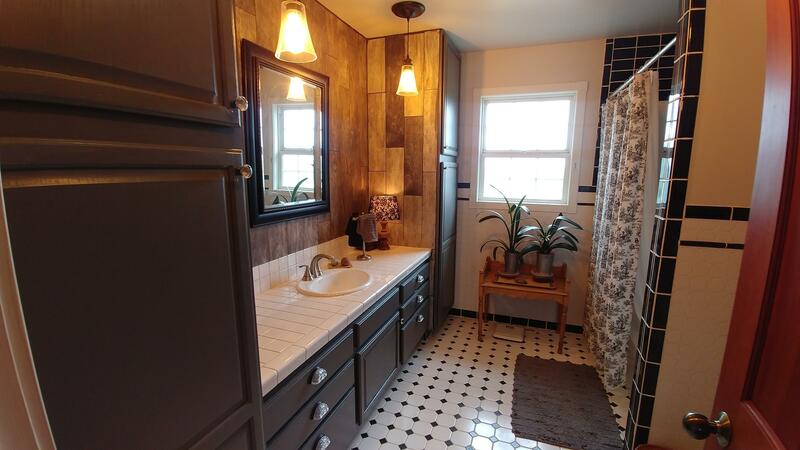 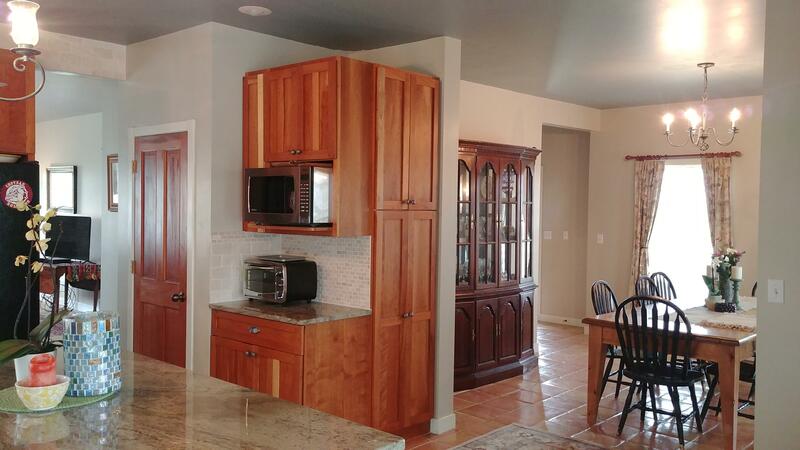 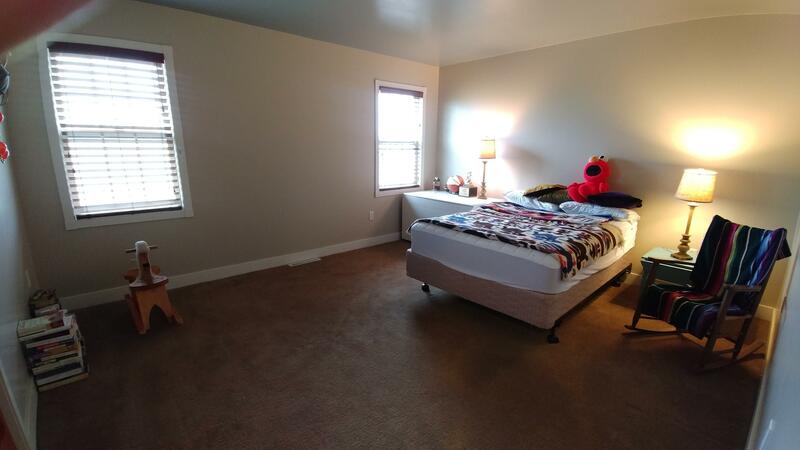 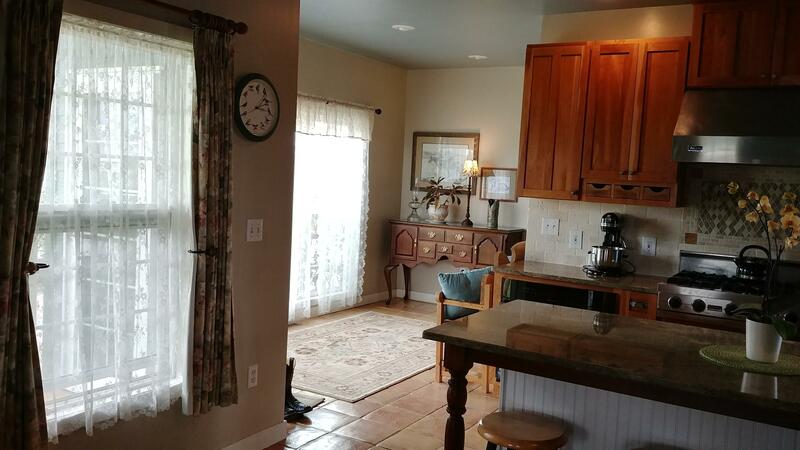 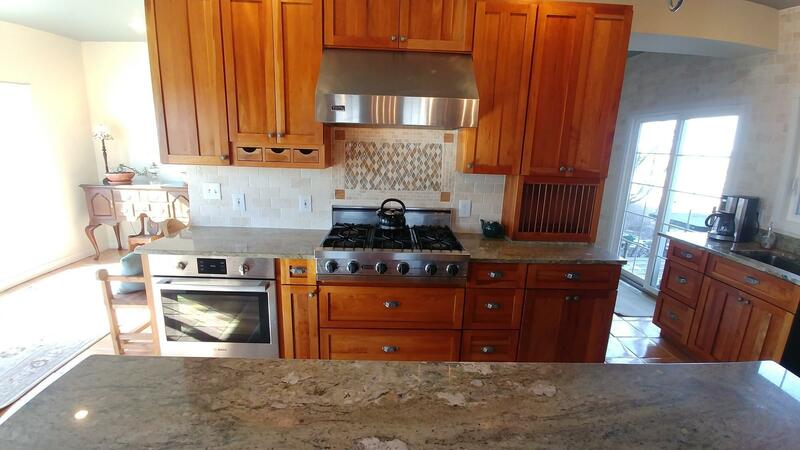 Custom built home has 4 bedrooms, 2 1/2 baths, office, open kitchen with granite countertops, gas fireplace, large dining room, a living room with wood fireplace, and a large family room above 2 stall garage. 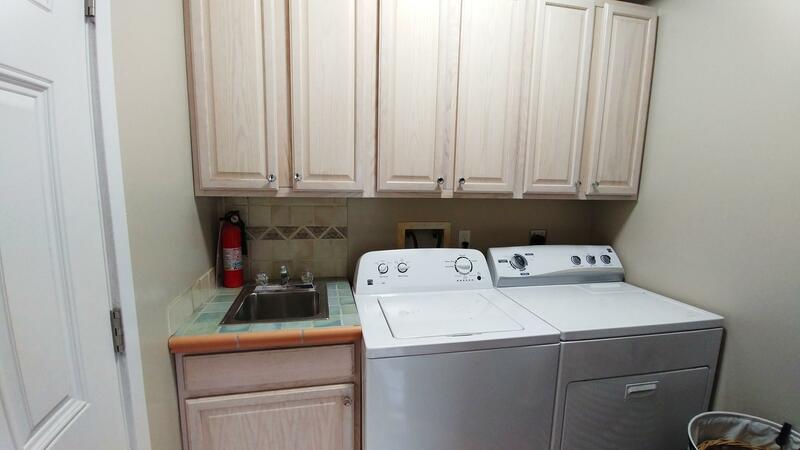 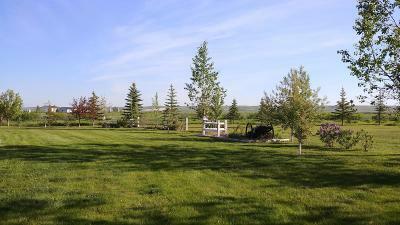 Landscaped yard has underground sprinklers. 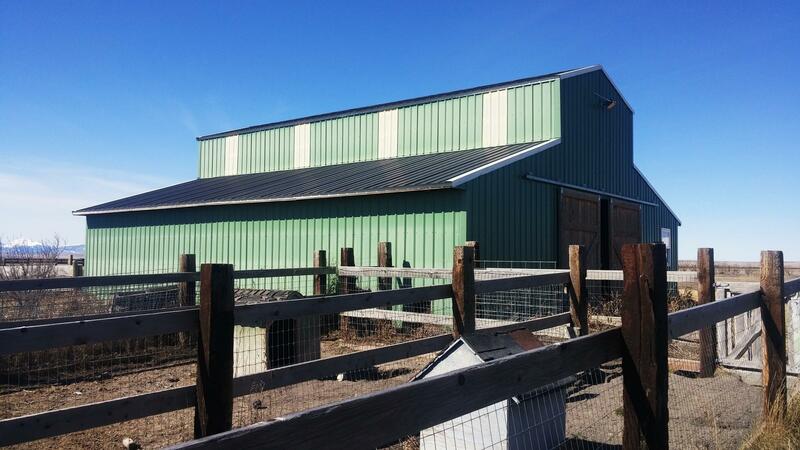 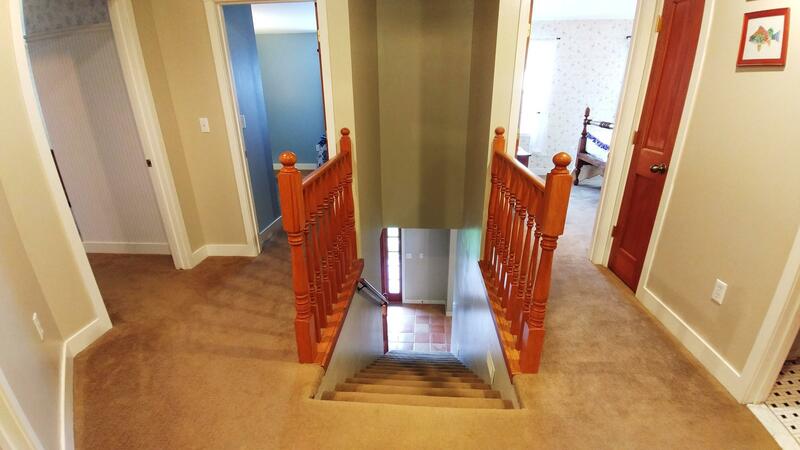 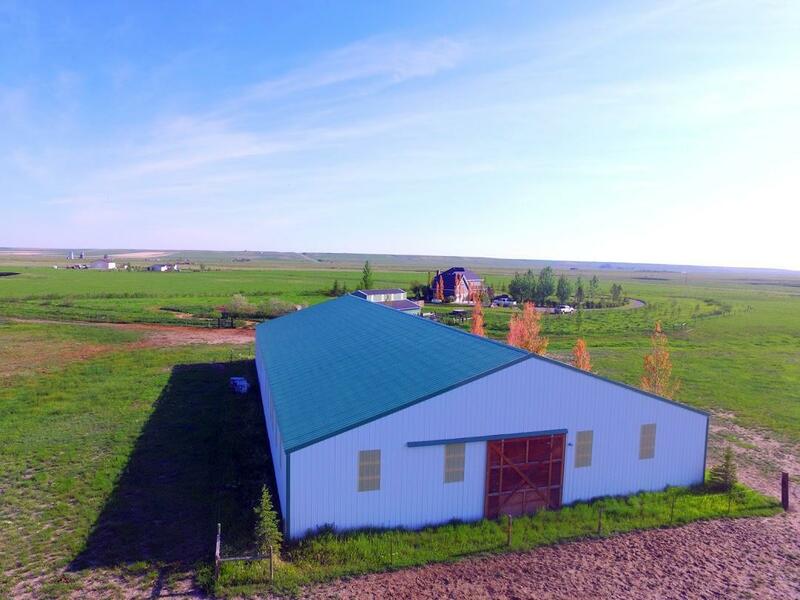 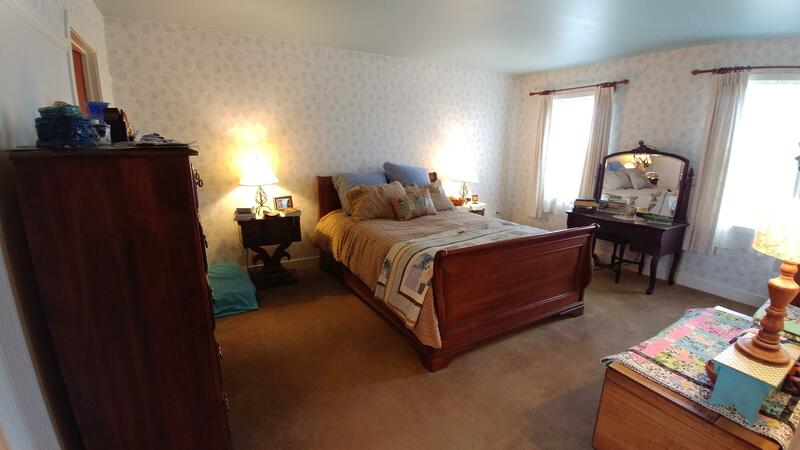 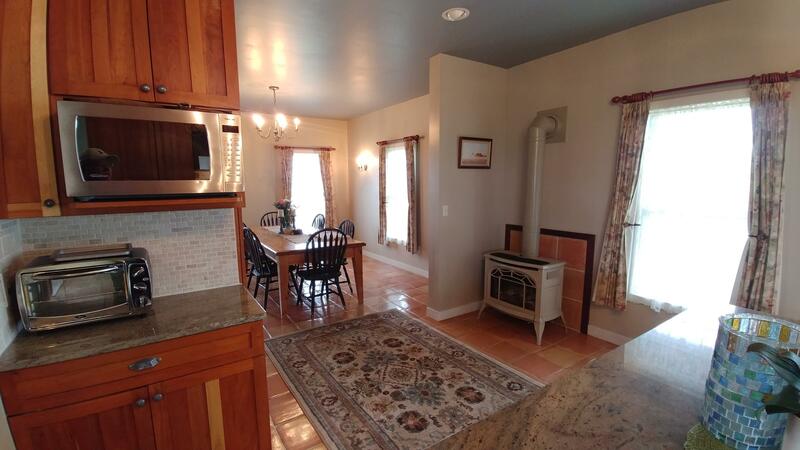 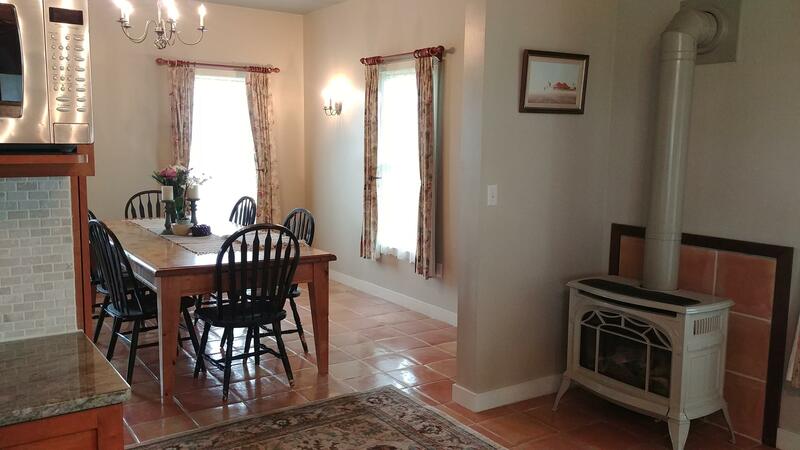 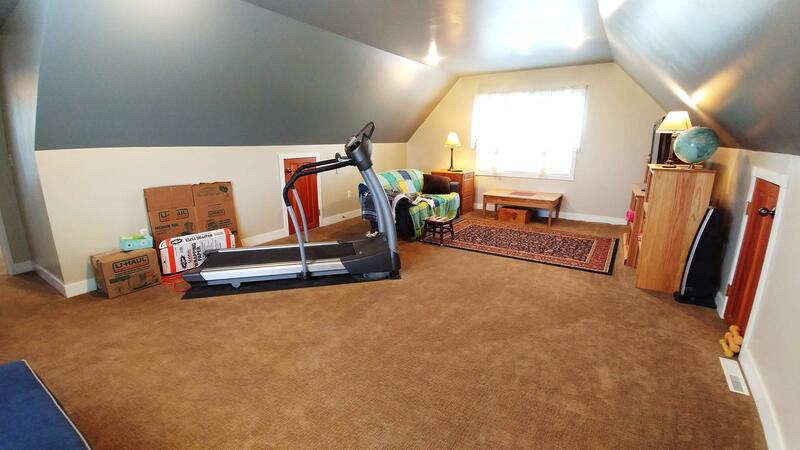 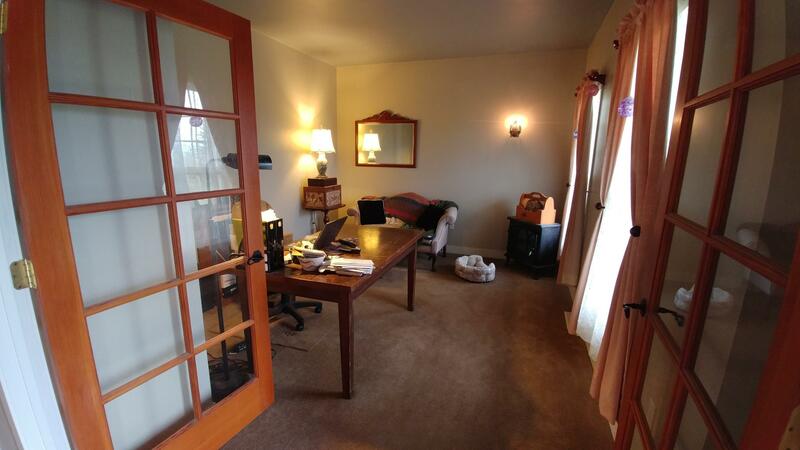 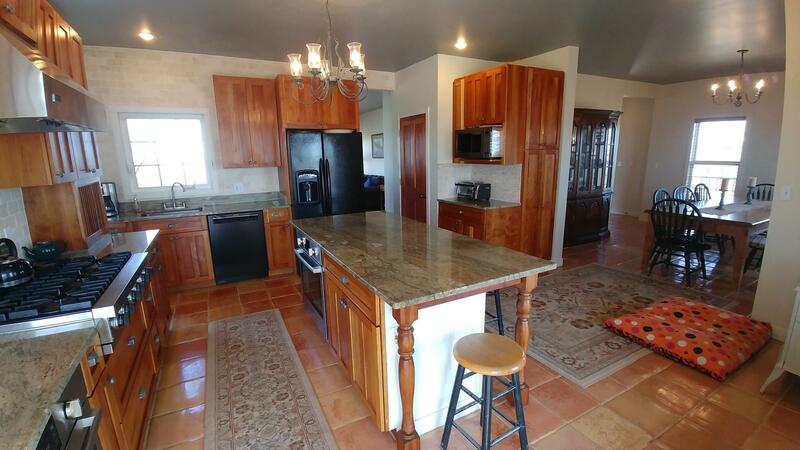 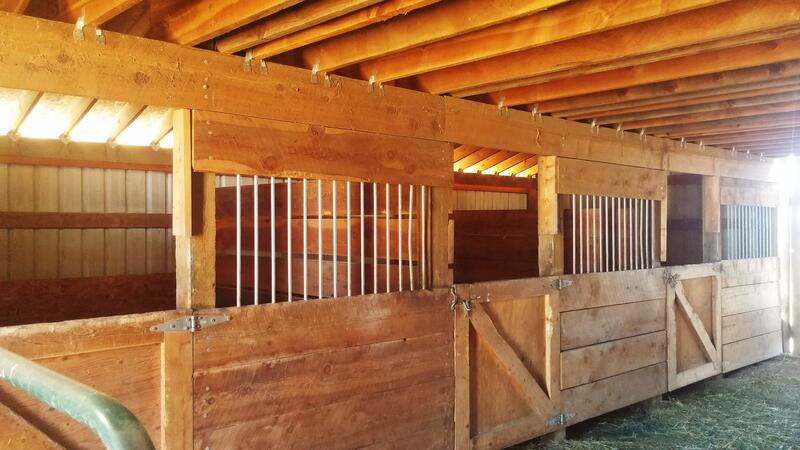 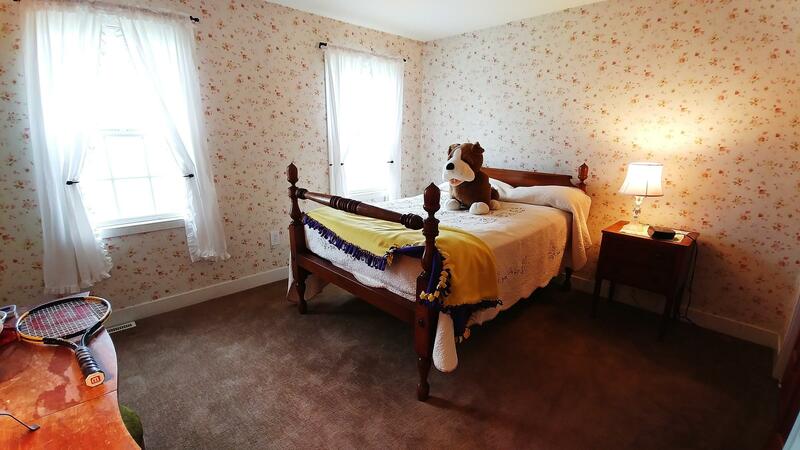 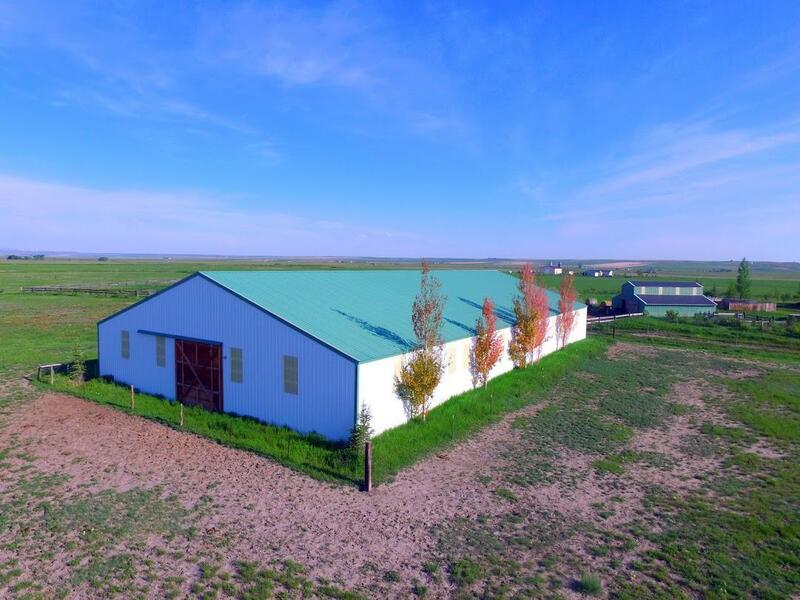 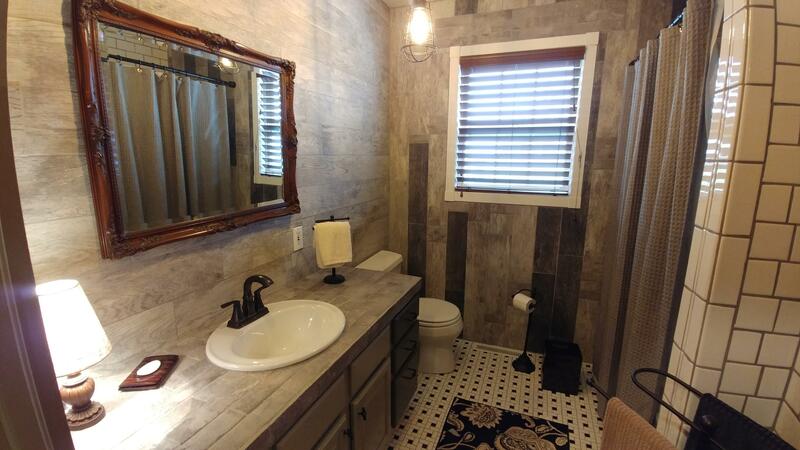 Horse barn has 6 indoor stalls, tack room, dog stall with outdoor run, and hay storage in the loft. 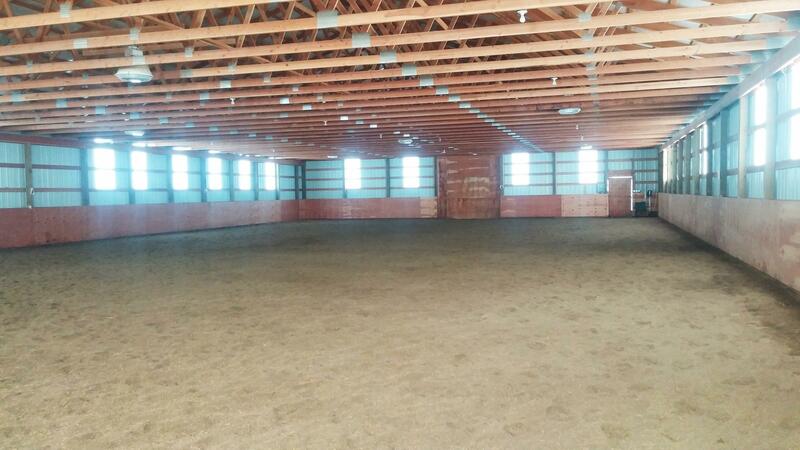 Indoor arena has skylights as well as electric lights and sheeting on the bottom of the walls. 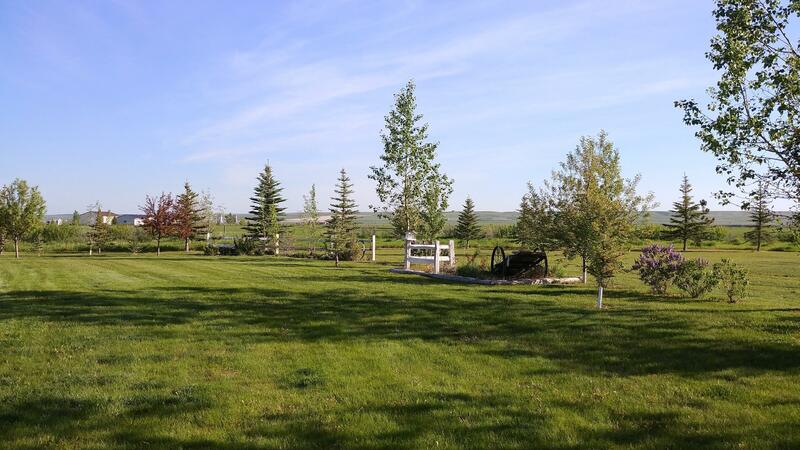 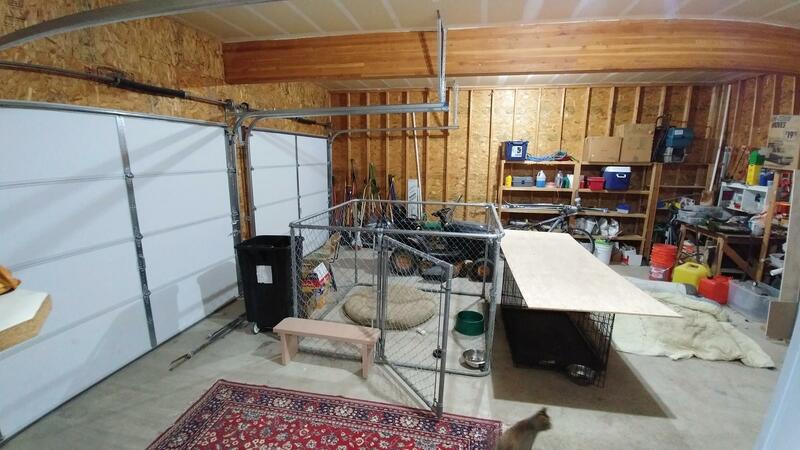 Property also includes outdoor arena, round pen, and enclosed garden to keep the deer out. 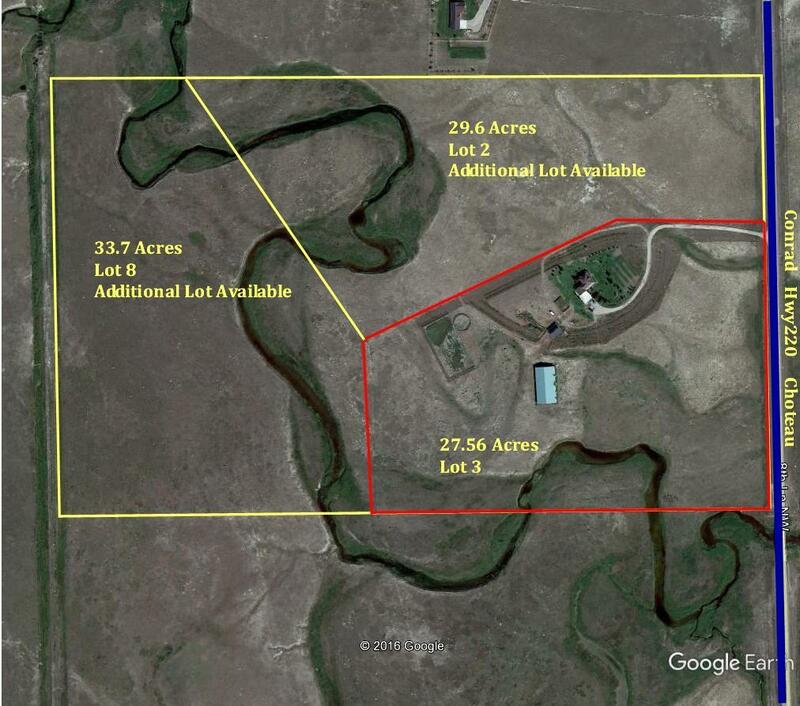 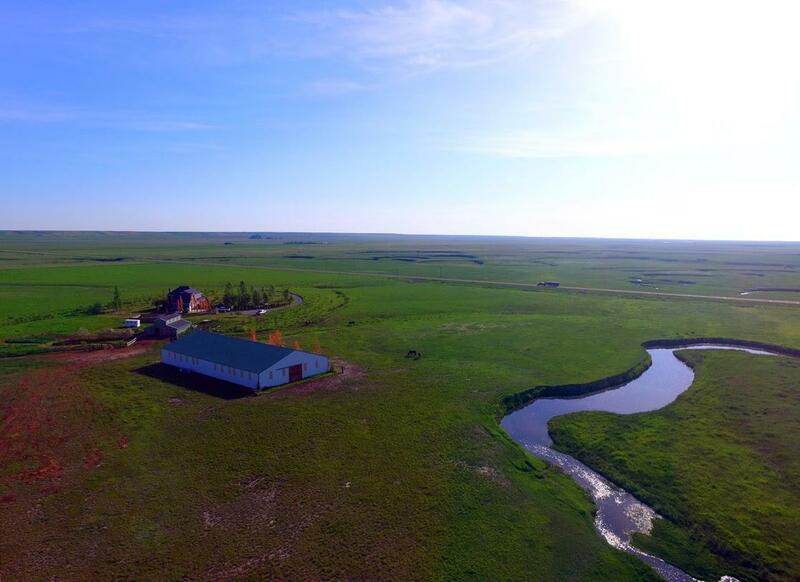 Additional 63 acres with live stream also available.